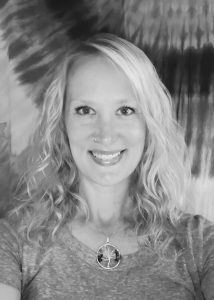 My name is Erin and I’ve been a Licensed Massage Therapist for the past 14 years. I’m from Iowa originally and graduated from Carlson College of Massage Therapy in Anamosa, IA in 2003. I have a degree in Physical Education with an emphasis in personal training from the University of Northern Iowa and I’m a former ACSM Personal Trainer. Practicing in the “mecca” of massage therapy, Boulder, Colorado, expanded my knowledge of massage modalities such as Thai Yoga Massage, Massage Cupping and Hot Bamboo Fusion. I love the challenge that Massage Therapy brings; finding the source of tension/pain and manipulating the body’s tissues to improve clients’ quality of life and promote relaxation. Outside of work, I love to hike, trail run, do yoga, snowboard and relax at home with my husband, Chris and our two crazy cats. My motto is “never waste a sunny day” so I’m generally outside basking in the beauty of Colorado whenever I have the chance. I look forward to helping you achieve your body’s “best”!